Join the 267,000 homes powered by solar. New Jersey is committed to bringing solar energy to the state. In 2015, it spent over $480 million on solar installations, and came in 10th in the nation for the most solar capacity installed that year. By 2020, New Jersey hopes to double its solar capacity to roughly 3,400 megawatts. Now, if you’re looking to cut your energy costs and help protect the environment, you can join the 267,000 houses running on this clean and sustainable energy by installing solar in your home. New Jersey power bills are the 17th most expensive in the country, at $109 per month on average. The price per kilowatt of grid electricity is even pricier, costing homeowners 16 cents per kilowatt. The good news here is that solar can offer huge savings to people in New Jersey. While installations cost anywhere from $11,200 to $14,400, the price per kilowatt of solar energy averages between three and nine cents. That’s half to a third of New Jersey’s electric costs! If you’re curious how much you can save with solar, get a quote from a top solar company, or use our cost calculator to estimate the savings yourself. Anyone who owns solar panels in the U.S. can get a 30 percent tax credit from Uncle Sam. Since buying solar panels costs so much upfront, this tax credit makes it more affordable for most homeowners. Some utility companies offer rebates and incentives for those who have solar panels. Browse New Jersey solar savings programs near you to save more on your energy bills. You can get money back if your solar panels produce more energy than you need to power your home. Normally, this applies to those who own solar panels. However, you can discuss options for leases, PPAs, and financing to see if these rebates will be credited to you. SunPower is hands-down the best solar company for innovation, technology, and design. With over 600 patents for solar technology and a world record for the first solar-powered plane, the Solar Impulse 2, its accomplishments are truly impressive. Even more so is SunPower’s solar panels that produce 55 percent more energy than conventional models. With SunPower, you’ll get more for less in so many ways. Customers who are looking for flexible payment options and ample savings choose Sunrun. If you choose a solar PPA, you can save 20 percent on energy and put little to no money down. Homeowners may also choose to finance, lease, or buy their equipment from Sunrun. Sound too good to be true? You can look at rave reviews on Angie’s List and the Better Business Bureau to see what Sunrun’s 80,000 happy customers have to say. Vivint Solar is an offshoot of Vivint—a home automation and home security company. Since Vivint Solar came to life in 2011, it’s been offering homeowners 10–30 percent savings on their utility bills and flexible payment options. If you go solar with Vivint, you can choose a solar PPA, lease, financing, or buy-out package, with little to no money down on some of those options. You can also opt to upgrade your whole home by adding home automation and security products from Vivint, which is a possibility no other solar company has at this time. 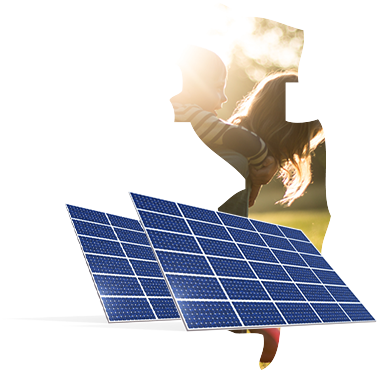 NRG Home Solar isn’t the place for solar PPAs, but it is a top company for solar leases, financing, and purchasing options. 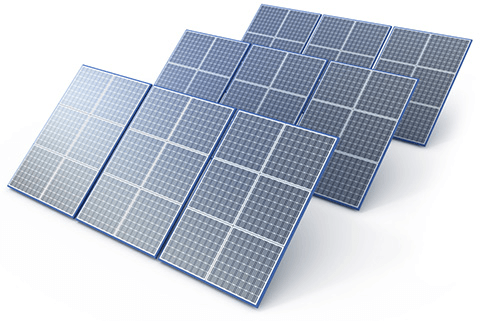 In most cases, NRG Home Solar doesn’t charge money upfront for solar installations. Plus, it does all the designing, engineering, permitting, and installation of your solar panels, so you can sit back and relax while you save. New Jersey Governor, Chris Christie, signed the Solar Act of 2012 to alter the state’s Renewable Portfolio Standard and net metering policies for the better. This act was dubbed the Solar Resurrection Bill because it accelerated the Renewable Portfolio Standard and increased demand for solar energy in the state of New Jersey. Since the local government is behind solar in New Jersey, homeowners can expect favorable pricing and incentives to install panels. New Jersey has a goal to install 1,709 megawatts of solar energy by 2020—adding to its current 1,695 megawatts. New Jersey has over 547 solar companies that employ more than 7,000 people. New Jersey invested a whopping $486 million in solar installations in 2015—the 10th most in the U.S. that year. As of 2016, New Jersey has enough solar energy to power 267,000 homes. Solar prices have dropped thanks to a 66 percent decrease in photovoltaic cell costs since 2010. Read about the organization that regulates utilities in New Jersey. Get in touch with lawmakers who can impact solar, and check in on pending or passed legislation that can affect solar prices. Learn about New Jersey’s initiative to make the state cleaner and greener. Look up local solar savings programs in your neighborhood. See how New Jersey compares to other states for energy usage and more.